Former patients of Durango Family Medicine were alerted last week of a breach of private health information, which could include such things as medical conditions and social histories. On June 6, Terry Cipoletti, an attorney with Caplan & Earnest LLC, sent out a letter about the security breach, saying Durango Family Medicine on April 7 discovered a portable external hard drive containing patient information was discovered missing from the medical office where it was stored. As of June 6, Cipoletti said the hard drive has not been located. “DFM deeply regrets this incident occurred,” Cipoletti wrote. In 2012, Durango Family Medicine health providers became employees at Mercy Regional Medical Center for Mercy Family Medicine. As a result, Durango Family Medicine records were saved onto an external hard drive. David Bruzzese, spokesman for Mercy, said when a company merges with Mercy, that company’s former records are considered separate and not part of Mercy’s database. Cipoletti did not immediately respond to requests for comment. 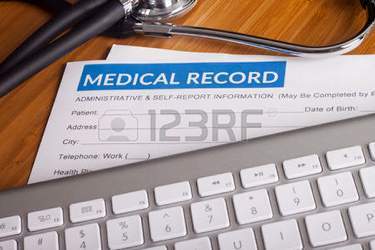 The type of information contained on the missing hard drive included electronic patient charts that contain: patient names and ID numbers, dates of birth, addresses, phone numbers, insurance carriers, dates of service and certain clinical information such as medical problem lists, vital signs, diagnoses and medical conditions, allergies, medications, progress notes, admission and discharge notes, operative report notes, lab and/or diagnostic study results, social histories, letters of referral and consultation notes. The information did not include social security numbers, amounts of payment or credit card/bank account information, Cipoletti said in the letter. Cipoletti said Durango Family Medicine is investigating how the hard drive went missing, and the incident was reported to law enforcement. No other items were taken from the clinic, he said. Durango Family Medicine recommends former patients regularly review financial accounts and health insurance, and report any unusual behavior immediately.